These terms and conditions govern your use of our website; by using our website, you accept these terms and conditions in full. If you disagree with any part of these terms and conditions, you must not use our website. Unless otherwise stated, we or our licensors own the intellectual property rights in the website and material on the website and the tour. Subject to the licence below, all these intellectual property rights are reserved. All scripted material used throughout the duration of this tour is owned exclusively by The Scottish Literary Tour Trust Ltd and subject to copyright legislation. Any unauthorised copying, public performances and broadcasting of this material is strictly prohibited. e) redistribute material from this website (except for content specifically and expressly made available for redistribution). 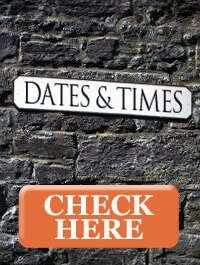 Online Tickets are purchased via Eventbrite and paid for with your Paypal account for the full amount of your tickets. 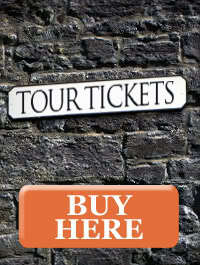 The amount for your purchase will be paid into The Scottish Literary Tour Trust Ltd paypal account (Paypal Verified). After payment is made and confirmed with Paypal, your tickets will be sent electronically to the email address used for your purchase within 5 minutes. Tickets are non-refundable unless the tour is cancelled due to extreme weather conditions, scheduling issues or any other reason The Scottish Literary Tour Trust Ltd finds valid for a tour cancellation. In case of cancellation, tickets purchased online via Eventbrite and Paypal will then be refundedelectronically to the Paypal account used for the purchase. Tickets cancelled up to 4 weeks prior to the tour date will be issued a full refund. Any bookings cancelled less than 4 weeks prior to the date will be offered no refund, but you will be able to reschedule your tour date. Please take into account that under 18 are not allowed to enter pubs and, if they join the tour, will miss approximately half of the tour's performances. If you do not comply with this clause, please do not purchase tickets for under 18. We reserve the right not to issue refunds for tickets bought online for under 18.